The following post is a quick recap of the badges I got whilst on my recent roadtrip around Australia (and I think one from just before I left). Anyway hope you enjoy this quick little catchup. The Hotel Hopper is a pretty self explanatory badge, basically turn up at 5 different venues (per level) Foursquare classifies as hotels and check in a beer. I earned Level 3 at one of my favourite pubs outside Victoria. The Beach Hotel in Byron Bay was the site and Carlton Draught the beer, should've bought the first round and it could have been Stone & Wood Pacific Ale... Ah well! Carlton Draught was again the beer that unlocked Find the Source Level 2. Finnian's Irish Tavern in Port Macquarie was the venue. I assume they must make their own beer or this could have been an error in Foursquare. Find the Source is a location badge for checking in beers at breweries, 5 per level as usual. 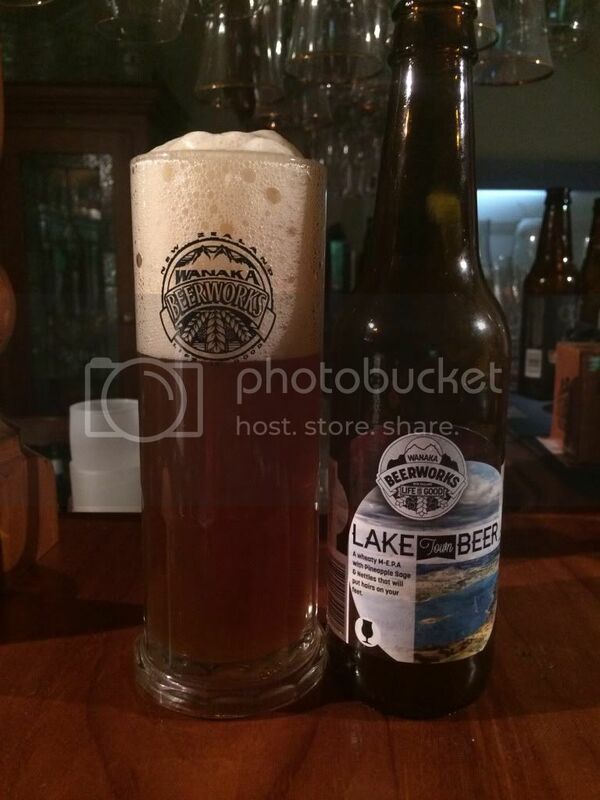 Just before I left on my roadtrip I had possibly the worst beer I've had this year; Wanaka Beerworks Lake Town Beer. The beer was a horrendous mix of vegetable flavours and herbs mixed with Belgian yeasts. Didn't work for me at all. Anyway at least in earned me level 4 of Drink Like A Kiwi and the label and mug are pretty cool (see photo above right). First day of the roadtrip that mystical New Brew Thursday badge turned up again, this time with it's 8th installment. The beer was Summer Wine Brewery's Barista Espresso Stout, which I had got a whistler from Tru Bru the day before to quick off the trip in style. Not surprisingly when you consider the name, there was plenty of coffee flavours while the body was quite thin and drinkable. If the body had been a little thicker this could have been a really excellent Stout.